It’s been highly publicised that there have been a minimum of sixty-six off-field indiscretions for the National Rugby League officials to bang their heads on the table against. There’s a lot of things the NRL, and their players get wrong (and that really needs to be actioned, as it’s already out of hand) but Friday, February 15th will show case just what we can get right. The Indigenous All Stars V Māori All Stars will come together for a historic battle. It’s very special to have this representation acknowledged in such a way, but also to have the women and men play one after the other really captures what this organisation can get right. The pre-season All Stars fixture was always a competitive match, but this one really has fans on both sides of the Tasman excited. 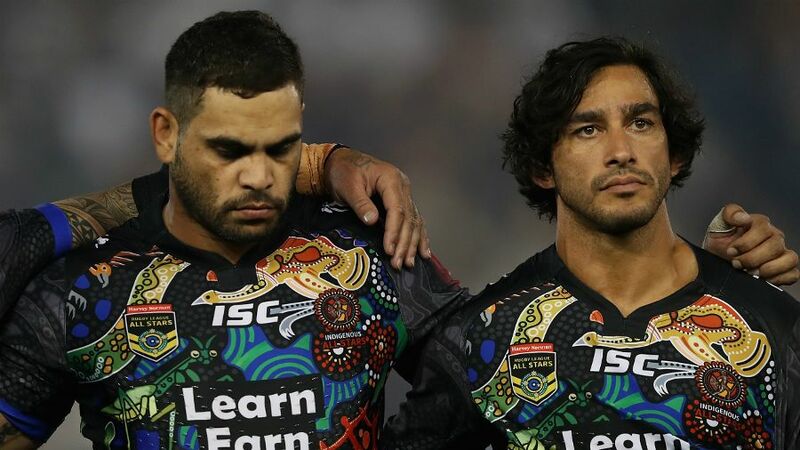 The last time we saw something similar, was the 2008 Rugby League World Cup held on Australian soil where the Indigenous Dreamtime team defeated New Zealand Māori in an exhibition match 34-26, which saw the likes of Rhys Wesser, Preston Campbell, and Chris Sandow go up against Wairangi Koopu, Shaun Kenny-Dowall, and Rangi Chase. With less than forty days until the return of the NRL season, this match will be just the taste fans will want to linger in their mouth. Starting with the Women’s match, there’s so much to like about both sides. Knowing what we know (or may not know) after the inaugural NRLW competition, there’s going to be plenty of exciting players coming together to do their part. Tahlia Hunter, 2. Terri Ann Cain, 3. Amber Pilley, 4. Shaylee Bent, 5. Shakiah Tungai, 6. Quincy Dodd, 7. Sharon McGrady, 8. Rebecca Young, 9. Akayla McQuire, 10. Layla Fauid, 11. Samartha Leisha, 12. Caitlan Johnston, 13. Kandy Kennedy. Interchange: 14. Tallisha Harden 15. Kyara Nean, 16. Regan Hart, 17. Tommaya Kelly Sines, 18. Layna Nona Busch. Coach: Dean Widders. Coached by the legendary Dean Widders, these women will really understand what it means to be Indigenous, and be able to play for each other in such a remarkable occasion. Look to Tahlia Hunter at fullback to cause the Māori Ferns some headaches, as well as barn-storming prop Rebecca Young. Botille Vette-Welsh, 2. Hilda (Mariu) Peters, 3. Jonsal Tautari, 4. Amber Kani, 5. Tyler Birch, 6. Zahara Temara, 7. Teeaye Hapuku, 8. Kararaina Wira, 9. Krystal Rota (c), 10. Kahurangi Peters, 11. Geneva Webber, 12. Tazmin Gray, 13. Rona Peters (c). Interchange: 14. Christyl Stowers, 15. Kathleen (Wharton) Keremete, 16. Charlette (Harata) Butler, 17. Kerehitina Matua, 18. Acacia Claridge-Te Iwimate. Second-rower Tazmin Gray usually represents Australia, but her Māori heritage is something very close to her and her family. She’s a tough running forward she never takes a step back. And the quickness of captain Krystal Rota out of dummy half will really help this side get on the front foot. I’m expecting a fierce encounter in this one, and thinking that the Indigenous Women’s All Stars will win by 6-10 points. And for the men, there’s plenty of excitement in the ranks. From young guns to wise old heads, there’s going to be plenty of opportunities for points, and big hits. Bevan French has wheels to burn, and if he’s given an inch of space, the Māori will have to watch out. An excitement machine who scores tries for fun – and should have been in this side from the start. Leilani Latu is someone who hasn’t played much football over the last year, but a strong performance here could give him a real shot at starting for the Titans in round one. He’s a hard to tackle with ball in hand. Up until about a month ago, Dane Gagai had his sights on representing the Indigenous side, but the call of the Māori was too strong to deny. He’s a game changer on attack, and has plenty of skill on defence too. All eyes will be on Kalyn Ponga starting alongside another young talent in Jahrome Hughes in the halves. This is an exciting prospect that makes me wish it was already Friday so I could get ready to watch them go to work. And just to make mention, the entire starting forward pack are current or former Storm players. I’m going to back the Māori to win this. The first half an hour will be all guns blazing, but I think they have the players up front to do the damage, and the flair to seal it out wide. I’ll back them to win by 10-14 points.